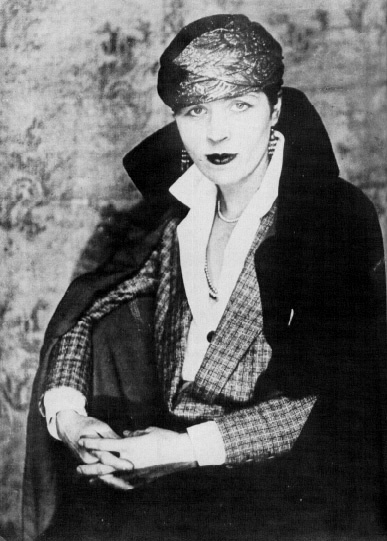 Djuna Barnes (1892-1982) is an excellent example of the “writer’s writer,” admired by such personages as T.S. Eliot, Dylan Thomas and William S. Burroughs while basically ignored by the general reading public. With the recent interest in marginalized women writers she has come back into print and her 1936 novel Nightwood seems well on its way to taking its deserved place in the modernist canon. The plot of this novel is nebulous and ill-defined. The chapters are not numbered, only evocatively titled, indicative more of individual prose poems or musical themes than an actual linear progression from A to B. The prose is decadent, vacillating between Djuna’s glacial, sensuous yet bitterly austere descriptive passages and the scatterbrained, vulgar ramblings of the astonishingly perceptive Doctor Matthew O’Connor. There is a liberal dosage of foreign language, mostly phrases in French or German that Djuna did not bother to translate. I always find that a bit aggravating but until the annotated version comes out I shall simply take it as a gentle prod to actually learn another language… sometime. The slender cast consists, besides the doctor, of the forlorn Baron Felix Volkbein, Nora – a woman devouring herself in the wake of her lover’s departure – and Jenny, who lives off what she steals from others. The focus of these individuals is on Robin Vote, “la somnambule,” the inhuman centerpiece of this little story, often missing from the action of the narrative yet preying on everyone’s minds. Seen almost exclusively through the lenses of other people, Robin remains an elusive figure, a woman with a strain of the primitive in her, compared throughout to various beasts, the eye of the storm rather than the main character. So O’Connor, who seems to know ahead of time what events are coming into play and makes liberal comment upon the other characters amid a slew of non-sequiturs about life in general, seems nothing less than the philosopher of the piece, the man with the answers and, ironically, the only character who spends any time thinking about other people. The holy fool gone horribly awry. The novel comes across as a freakshow, a carnival, a free-for-all, a circus and it’s not surprising that such performers have crept into the narrative by page 11: Early in life Felix had insinuated himself into the pageantry of the circus and the theatre. 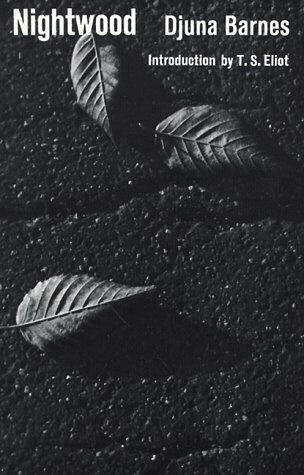 In some way they linked his emotions to the higher and unattainable pageantry of kings and queens…. He moved with a humble hysteria among the decaying brocades and laces of the Carnavalet; he loved that old and documented splendour with something of the love of the lion for its tamer – that sweat-tarnished spangled enigma that, in bringing the beast to heel, had somehow turned toward him a face like his own, but which though curious and weak, had yet picked the precise fury from his brain. However, they do not linger, as each segment forms a shift in the precise nature of the drama. So chapter two forsakes Germany for France and the circus dressing-rooms for hotels, museums and the respectable society Robin briefly confines herself to, and so on and so forth. Nightwood has, doubtless, a limited scope – not one of the characters has a sunny disposition – but this in no way limits the book’s merit. One very important point, however, is to accept the book’s artifice. The story skips calmly from Nora’s original meeting with Robin (in the circus, watched over by lions) to the time when Nora begins to grow obsessed while Robin pulls away. Ask ‘but how did that happen?’ and the illusion will crumble. This is not a “psychological” novel in the realist sense of the term. It might be best to keep in mind E.M. Forster’s definition of the “prophetic” writer when approaching Nightwood. That done, there’s a whole world within the pages, centered on the complacency of decay and the derangement that can constitute love. I would also recommend “The Antiphon,” her play in verse, based on her rather bizarre life story and “Spillway” a short story collection. Given the chance, I’ll probably end up reading all of her stuff. Someone should put out her collected works. Library of America, maybe? At present, the only unread Djuna I’ve got in the house is a story called ‘Katrina Silverstaff’ in an awesome looking collection called That Kind of Woman, which consists of Modernist women writers. The usual high profile ones (Woolf, Wharton, Mansfield, etc) supplemented by authors such as Barnes, Flanner, Loy, Nin, etc. Anyway, thank you very much for commenting as you did. This has to be my favourite novel (prose-poem). I have given several copies to friends over the years and have heard nothing back. This review is excellent and I thank you for it. I must follow your blog as you have a head on your literary shoulders. Thank you for your kind words. Nightwood is one of my favorite novels and I hope someday to revisit it. Nothing else she wrote is particularly easy to come across, more’s the pity.